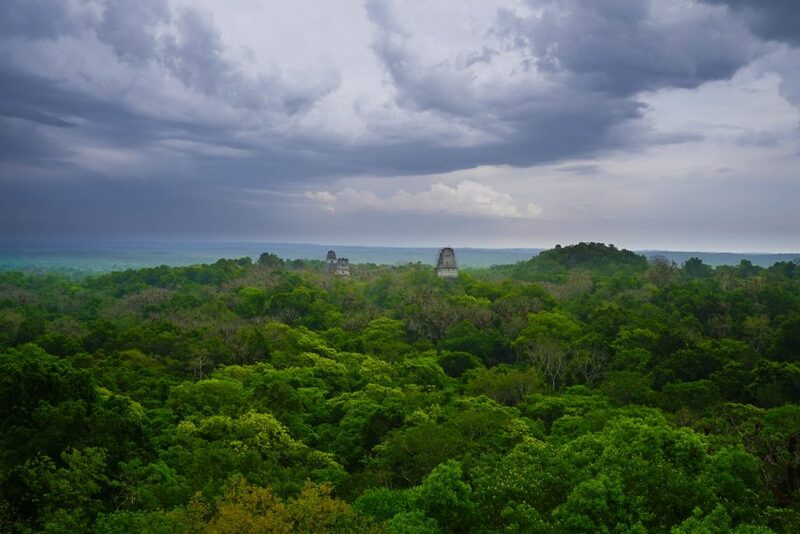 Deep in the dense, tropical jungle of Northern Guatemala, steeped in history and surrounded by wildlife, lies the biggest and most powerful complex to have existed in Mayan History – The Lost City of Tikal. 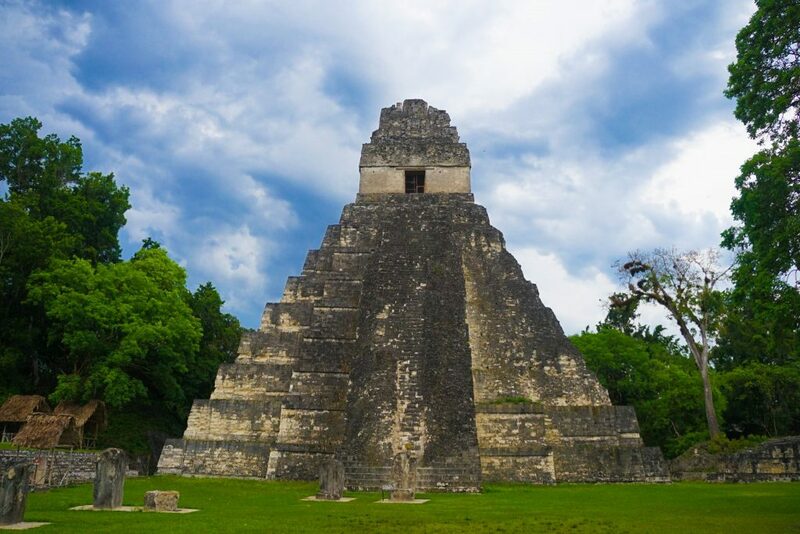 An awe-inspiring attraction that showcases the might of the ancient Mayan civilization that once ruled over this part of the world, the Tikal National Park UNESCO Site in Guatemala is on many traveler’s bucket lists and is one of the best things to see in all of Central America. 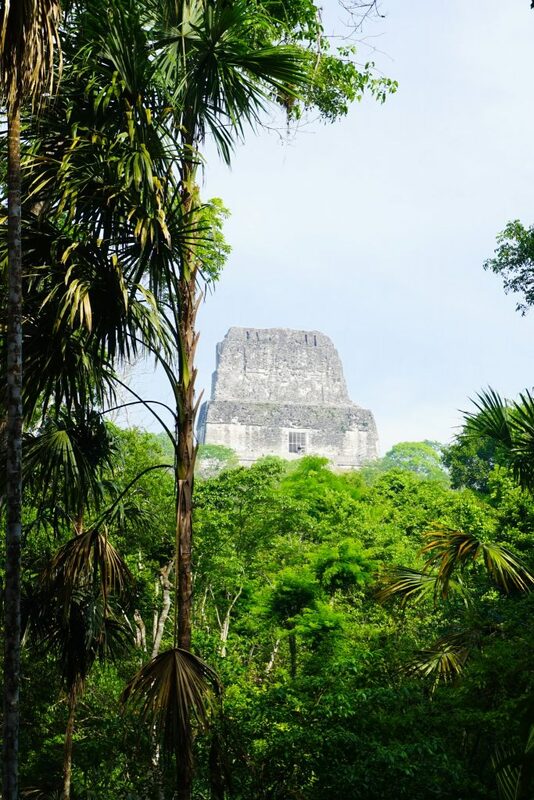 So I have put together this Ultimate Guide To Tikal National Park UNESCO Site in Guatemala, so you can have all the information upfront, avoid the stress, be prepared and make that most of this centuries-old testament to the raw power of both humans and nature! The ancient Mayan city of Tikal has a long history dating back as far as the 4th century BC, having originally been a small city that was conquered and rose over time to become one of the most powerful and feared of all the ancient Mayan kingdoms. Based on archeological records it’s reign lasted for over 700 years from 200 to 900 AD, (far longer than any of our modern super-states today! ), and during this time Tikal dominated the political, economic and militarist spheres of Mayan civilizations through a relationship with the Teotihuacan state near to modern day Mexico City. By the 9th century however, the zenith of Mayan civilizations had passed and a crisis of the Classic Maya collapse swept the entire region. City after city fell into silence, populations plummeted and warfare was endemic. 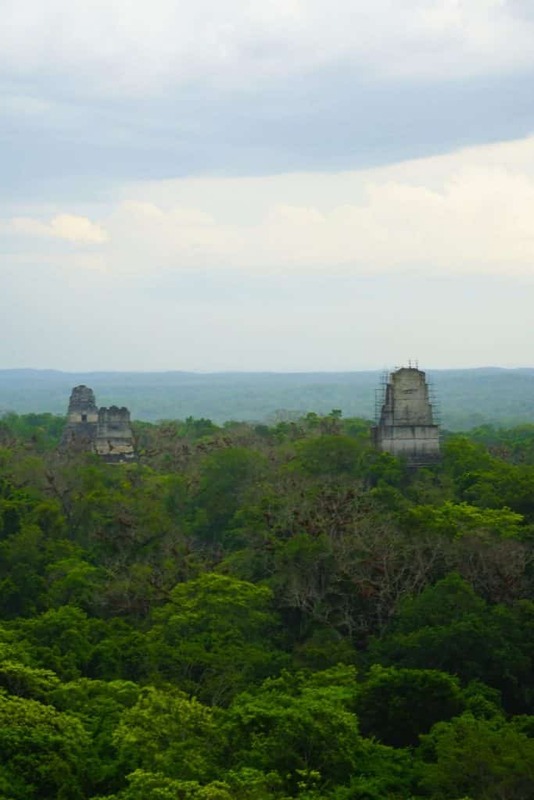 The collapse of Tikal was relatively rapid, and in the course of a 100 or so year, the city was abandoned and reclaimed by the forest for the next thousand years – it’s demise directly linked with that of Mayan civilization in general. The reasons for this abandonment are still debated but are likely to include intensive agricultural practices, unsustainable population growth, agrarian failure and cataclysmic climate change. Indeed some evidence suggests that Tikal was entirely abandoned due to persistent drought! A mystery for the ages, and one that continues to intrigue and inspire even today. 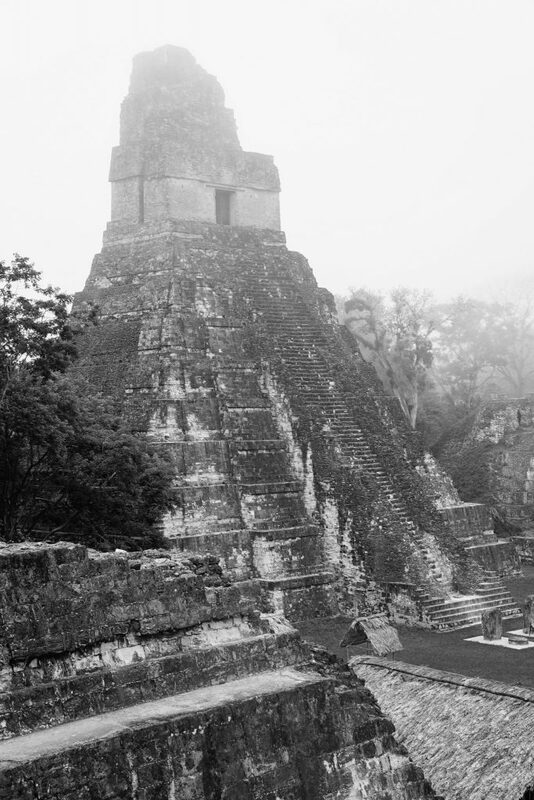 After the downfall of Tikal, it was lost to the Jungle for the next thousand years however as is often the case with huge ancient ruins (including Machu Picchu), local people never forgot about the site and knowledge was passed down through the generations. So when Modesto Méndez and Ambrosio Tut, the commissioner and the governor of the Petén state in which Tikal is located, visited in 1848 after hearing rumors. They were guided by locals in the area on a multi-day hike through the dense jungle, such was the distance of the remote ruins from any human settlements. The excavation and comprehension of the megalithic site however did not truly get underway until 1951 when a small airstrip was built nearby making access much easier than a 4 day trip by mule and horseback. Early major expeditions were carried out by the University of Pennsylvania who quickly realized the site they were uncovering was of great importance and far bigger than any previously seen in the Mayan world. 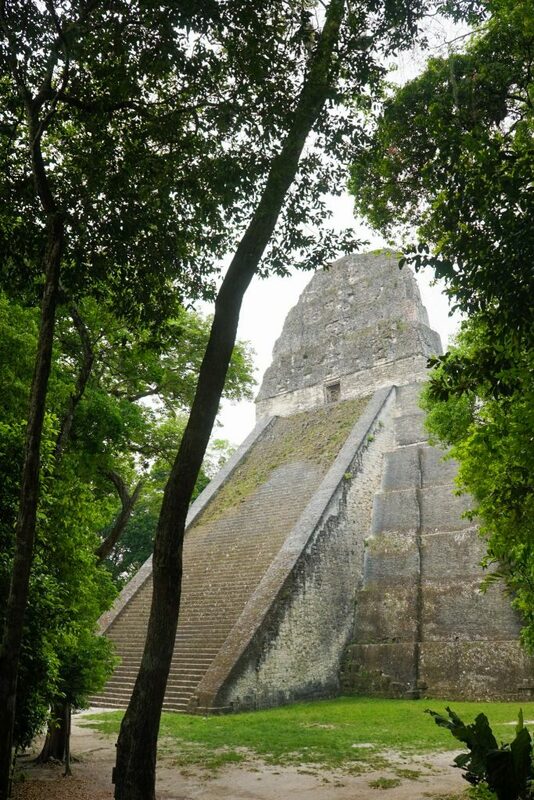 From there, it was not long before it attracted the attention of George Lucas who famously used Tikal as a filming location for the first Star Wars film back in 1977 . 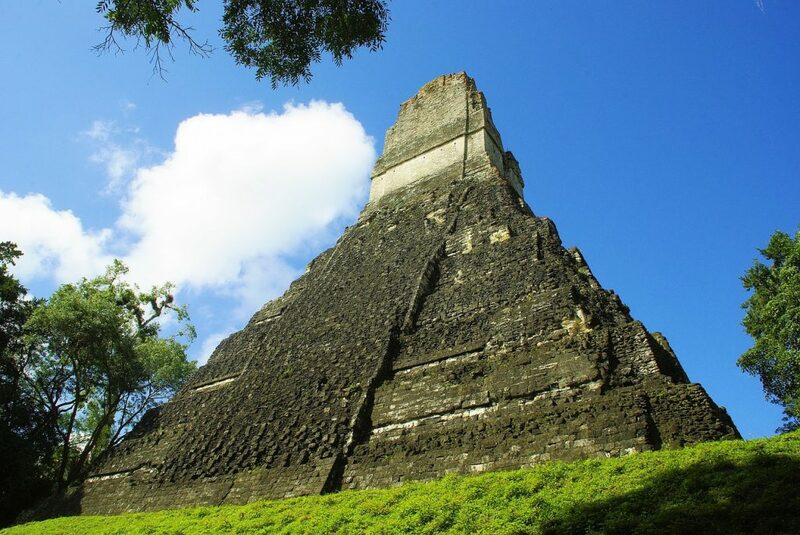 In 1979 UNESCO awarded Tikal dual status under both Natural and Cultural criteria, one of the first sites to receive this honour and today Tikal is one of Guatemala’s most popular tourist attractions – as well as one of it’s most awe-inspiring. The on-going work in excavating, restoring and researching still continues on to this day and it is exciting to imagine what new and interesting finds might be unearthed in the future. Public Transport in Guatemala is chaotic, hot and runs to a schedule only it seems to know – but if you have the patience it can be very cheap and rewarding. 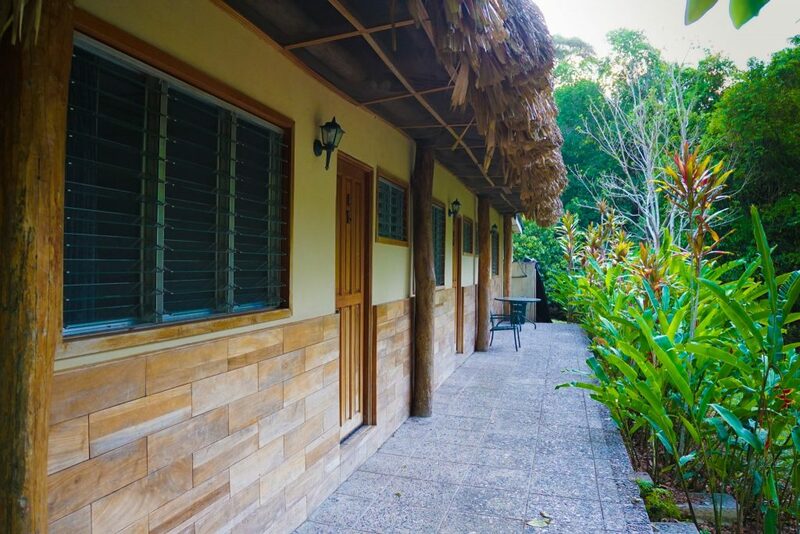 Wheater you opt to stay in Flores or inside the Tikal National Park – all the best transport options will generally go via Flores or the ajacent town of Santa Elena so I will focus on that first. Also, most of these work in reverse with slightly different timings for leaving. Mundo Maya International Airport is located in Flores and offers direct air connections from Belize City and Guatemala City. Not the cheapest option but by far the easiest and quickest. If you are on a tight schedule or don’t fancy wasting hours of your holiday in a bus this is that best option. Taxi’s can easily be arranged to Flores for 20Q or you can arrange a shuttle / take a local bus from outside the airport during the day direct to Tikal National Park. From Guatemala City or Antigua to Flores / Tikal National Park: Multiple Pullman coach buses for Tikal from Guatemala City leave daily (Autobuses del Norte, Linea Dorada, Fuente del Norte) taking around 10 hours with various levels of comfort. All the reviews I have heard say it’s very mixed what you will get – Just be sure to book your ticket direct where you can as otherwise it is likely you will be overcharged and get bad seats. Buses tend to leave around 10 am or 10 pm offering a day or night service. There are no direct shuttles operating as I can tell, and from Antigua, to Tikal you will be sold a shuttle connection to Guatemala City with an onwards bus ticket. And sorry a Tikal day trip from Antigua is not really feasible but with the right combination of flights over-night is …Just don’t rush it! From Semuc Champay/Lankin to Flores / Tikal National Park: Both public and shuttle services operate on this route, but the shuttle is recommended as it takes 8 hours for around 125Q and is a door-to-door service. 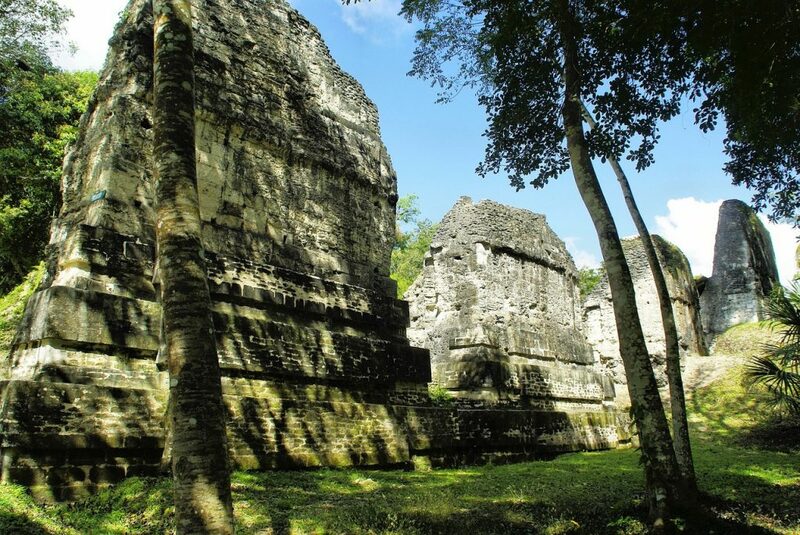 Semuc Champay is also an absolute highlight of Guatemala according to most visitors and should not be missed. From Chetumal (Mexico), Belize City, Caye Caulker and San Pedro to Flores / Tikal National Park: The best option is the tourist shuttle buses due to a convoluted border crossing and limited public transport. San Juan Express operate a shuttle from Chetumal via Belize City to Flores – coming from the island’s you can time with many of the frequent ferries and also have the option of Linea Dorada which is far more reputable. Do not expect much, and to be frequently lied to by San Juan Express – There will be no bathroom, food breaks or air-conditioning. To and from Belize City is around $20 USD and you can negotiate the onward or return ticket to Caye Caulker or elsewhere in the price often, but it could be cheaper and easier to book directly at the ferry terminal. 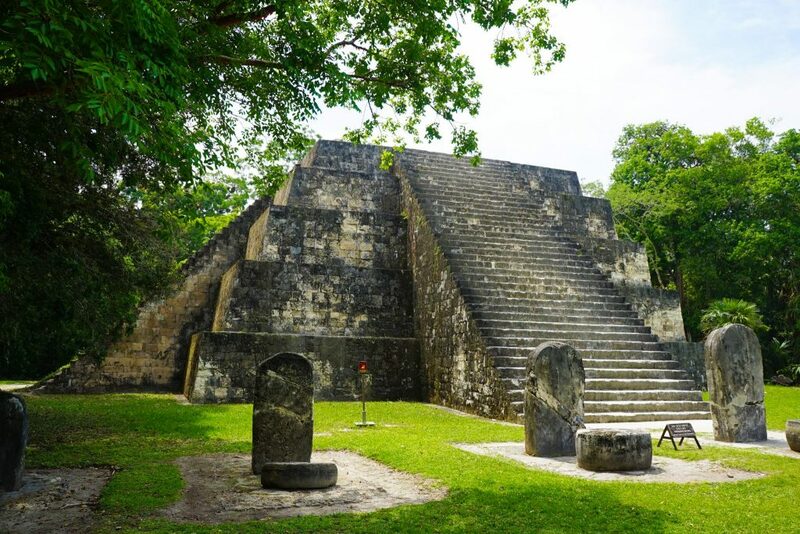 To get from Flores / Tikal from San Ignacio you will, however, need a private driver, to catch public buses or backtrack to Belize City as the shuttle do not stop here. 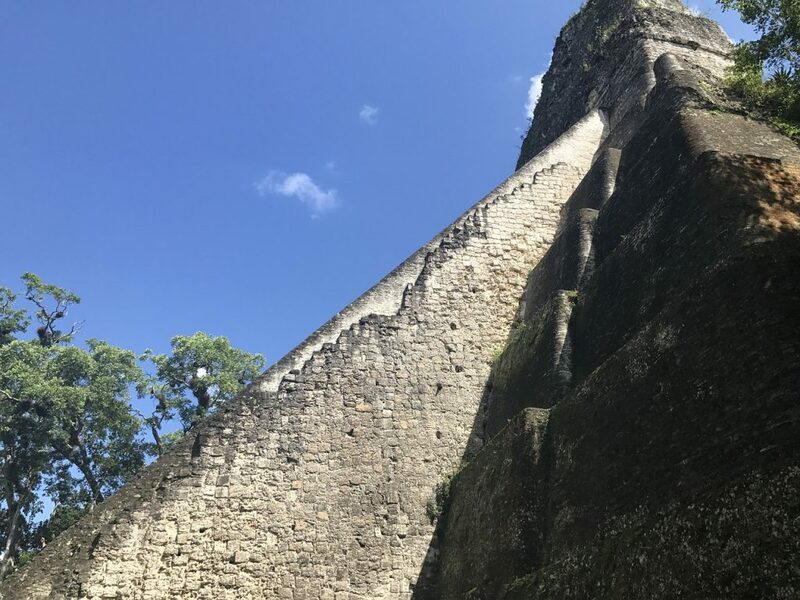 From Copan Ruinas in Honduras to Flores / Tikal National Park: There are limited connections here but it is entirely possible to do in one day. No direct tourist shuttles exist at this time. The cheapest and easiest option would be to cross the border via frequent micro-buses to Chiquimul where a 9.30 am bus departs directly for Flores. If you want to go from Copan Ruinas to Quirgua to Flores it is possible on in one day using micro-buses – there is one direct from Chiquimul to the turnoff for Quiriguá UNESCO Site where you can take a tuk-tuk there and back, then continue on with 1 or 2 micro-buses depending on your lucky to Rio Dulce. If you arrive before 4.30pm there are a few buses passing on the Guatemala City to Flores route as above you can jump on, or there are plenty of accomodation options to stay the night. Once in Flores, there are three main option to get to Tikal National Park: a taxi or private shuttle, shared shuttles or public bus. The public micro-bus / van is cheapest and departs from large carpark behind the Santa Elena Bus Terminal, but you will pay 30-40Q each way and have to deal with many con artists however the van will take you direct to Tikal and wait while you purchase your ticket on the route. The taxi or private shuttle is most expensive but depending on your circumstances may be worth it. Finally the shared shuttles with included tour guides run around 100Q return from Flores but have fixed times, included a tour guide – They do not allow much time at the park and the best option I can recommend is to negotiate a shuttle return for a few days later and stay in the Tikal National Park to beat the crowds. Then you can arrive before the shuttles get there at 8am and to truly make the most of this UNESCO World Heritage Site. Tikal National Park is open every day of the year from 6 a.m til 6 p.m. Tickets can be purchased in advance through various operators or Banrural Bank, but based on stories I heard this only leads to problems and deceit. At the entrance to Tikal National Park (about 5 kilometers from the ruins), there is a road-block where all passengers must disembark and buy tickets before being allowed to proceed. Cash and cards are both accepted here but being in the jungle WiFi is spotty at best so, as in elsewhere in Guatemala, cash is king. 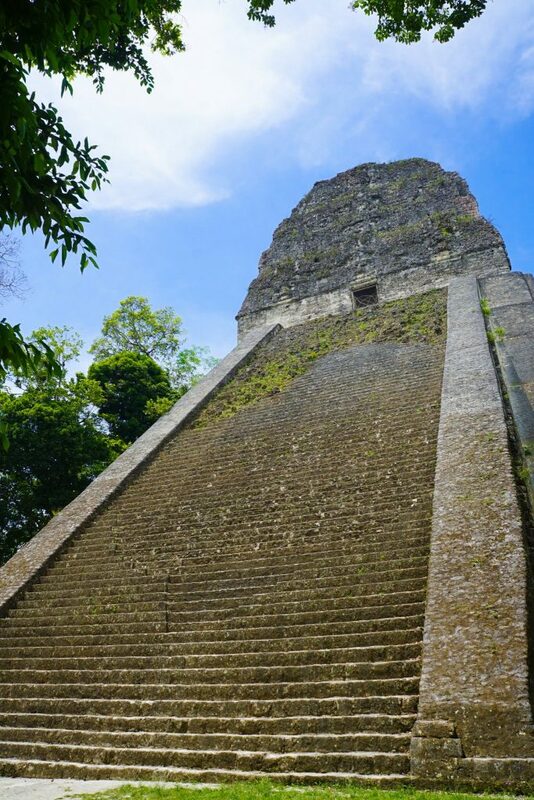 There are also no ATM’s anywhere near Tikal National Park so bring all the cash you need for your stay. Ticket’s costs $22 USD or 150 Q per day as of June 2017, including an entrance for one day only between 6 a.m. and 6 p.m. As of March 2017 tickets for Tikal National Park can no longer be used across multiple days if the entrance is after 3 p.m. so be careful of this. Park re-entrance is allowed however throughout the same day permitted you do not remove your wristband. Guides are not required but can be organised for an additional cost at the main park entrance just before you enter, if you so desire. For sunrise or sunset excursions outside of park hours, an extra fee of $13 USD or 100 Q is payable for each and every entry and a guide is mandatory. Sunrise has traditionally been the most popular time but given the mist in the forest sunset is becoming more favoured, and does not have such an early start time. 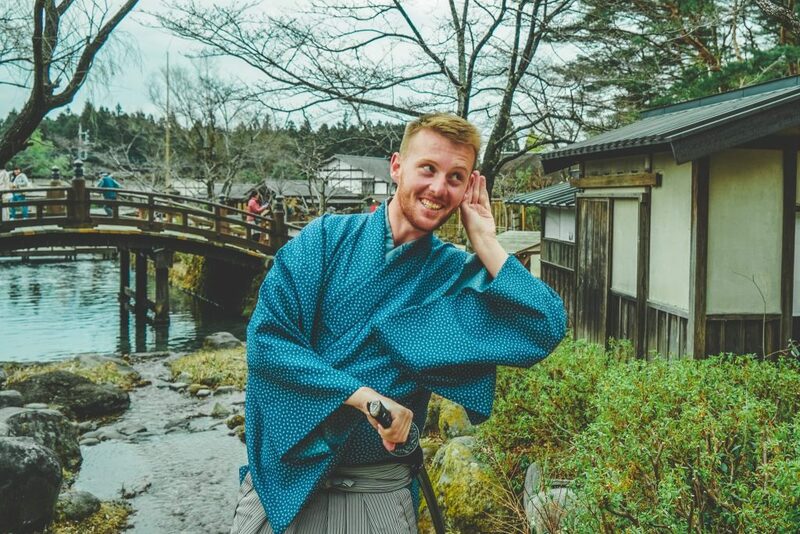 There are a few onsite museums also not included in your ticket, and while I never meet anyone who actually went to them they are highly recommended by other sources online. These cost $4.20 USD or 30 Q. All tickets must be purchased in advance at the check-point as part of an anti-corruption charge by Tikal National Park so therefore you should decide ahead of time if you want to do sunrise / sunset tours or spend additional days exploring Tikal National Park. 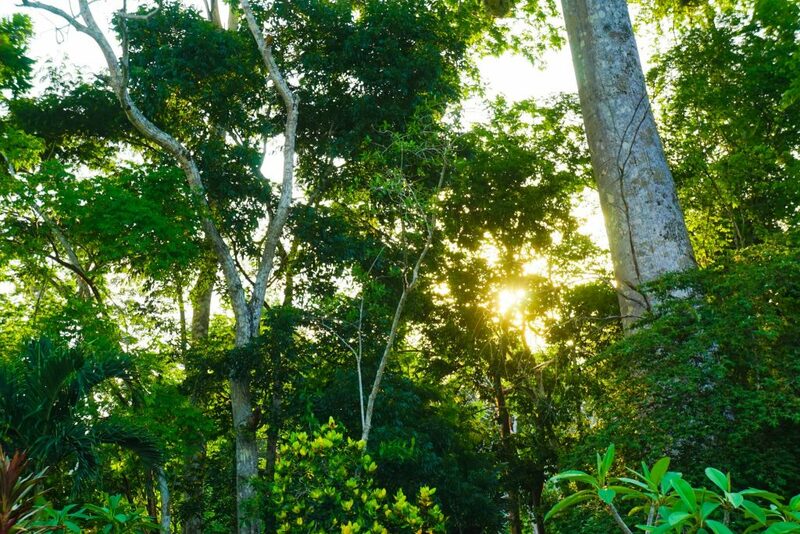 Many visitors to Tikal National Park mistakingly opt to stay in Flores, a 1-2 hour shuttle away, without realising there is accommodation within the Tikal National Park which is both affordable and allow you to relax and immerse yourself in nature. By contrast, Flores is well known as one of the places with the most scams or coyotes in Guatemala, is ridiculously hot and best avoided if your only reason to be in the region is Tikal. 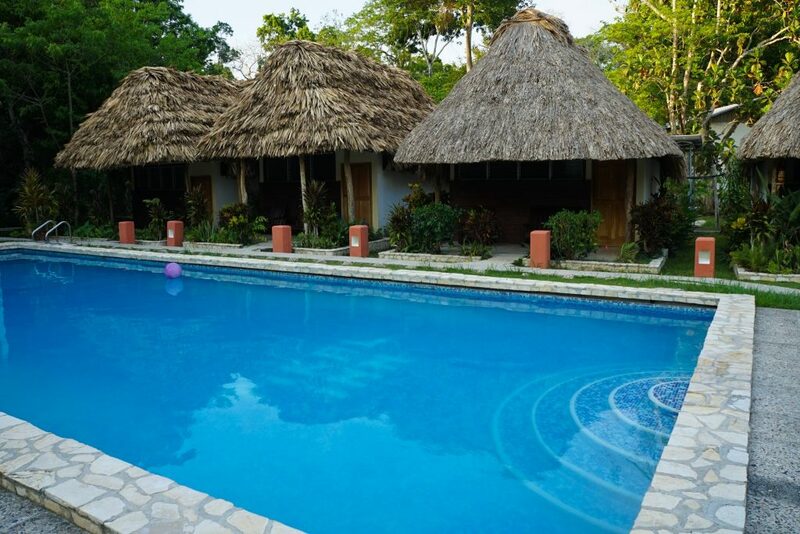 There are three accomodation options on offer within Tikal National Park, but by far the best is Hotel Tikal Inn which offer’s affordable prices, clean bungalows, a large swimming pool and is a 2 minute walk to the ruins. It really just doesn’t get much better than this and Tikal Inn is the perfect Tikal Accommodation! I stayed in the ‘Ranchon’ satellite building, located a short 2 minute walk into the jungle and absolutely loved it. 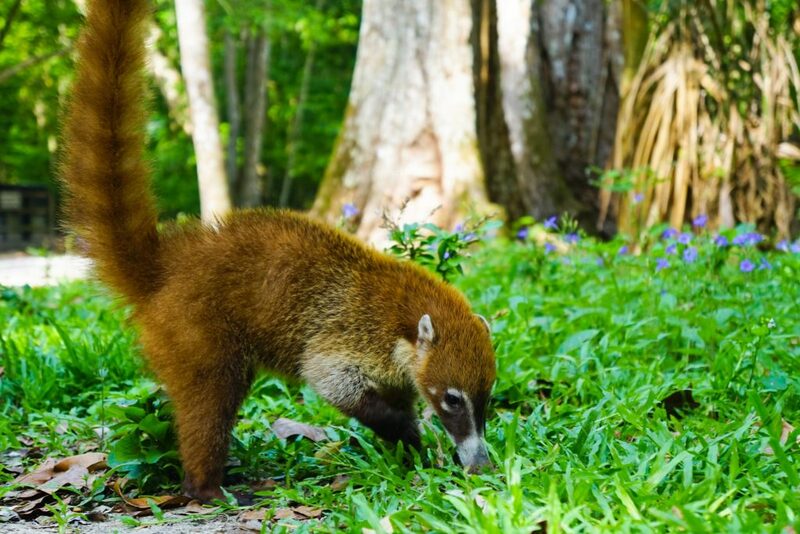 At night I could hear various nocturnal animals going about their business and during the day Howler Monkeys would frequently drop by for a visit – Sort of like your own Tikal jungle lodge. The rooms is very well screened to ensure no bugs get in and there is a private shower, two single beds and a ceiling fan although at night the jungle is surprisingly cool. 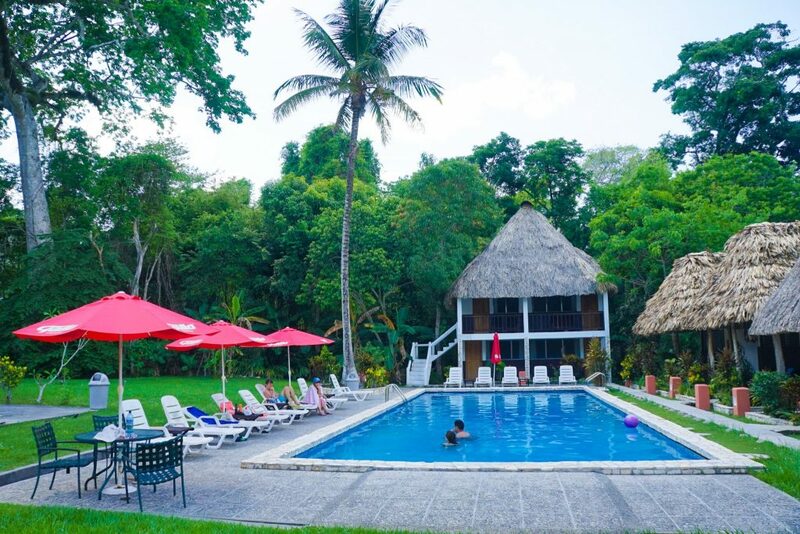 Hotel Tikal Inn also offers pool-side bungalows with thatched roofs and spacious Junior suites , with a room configuration to suit all needs and budgets. 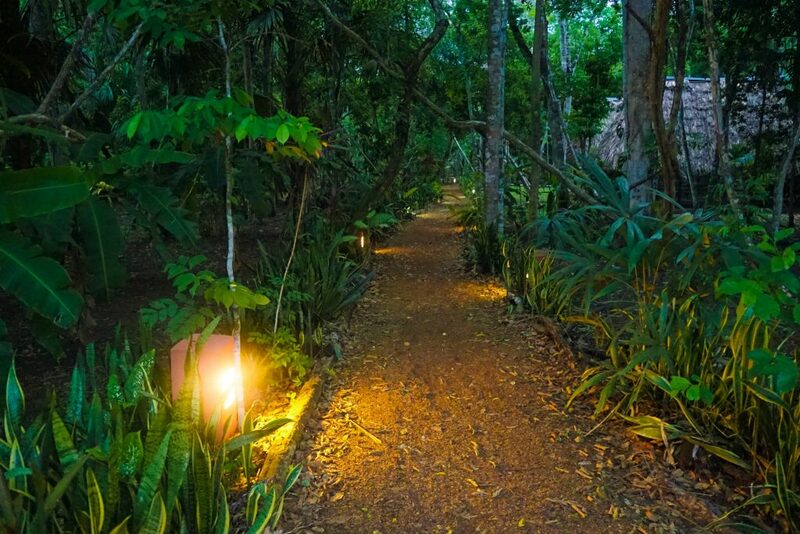 Being located in the Mayan Biosphere power here is limited to set hours in the morning and the afternoon that you are likely to be around – and outside of these times the front desk will happily charge any electronics so I never found it annoying. WiFi is also available at all times (which is crazy given it’s location!) and was good enough for checking emails and updating Facebook – however, any urgent arrangements you might need to make should probably be done before you arrive to avoid stress. And speaking of avoiding stress – you will be glad you stayed with their gorgeous pool which is just perfect for relaxing in the middle of the day after a hard morning exploring the hotel ruins, or at sunset. Cocktails and food can be enjoyed poolside but Tikal Inn also has a delicious restaurant with a mix of international and local cuisines. Between the location in the jungle, the distance from the ruins and the pool I honestly cannot believe so many people opt to make the long day trip out from Flores which can involve up to 4 hours in a shuttle when you could relax at Tikal Inn, enjoy the ruins on your own (and beat the crowds!) and cool off in the pool after instead of cramming into a shuttle to get yourself back. And it is surprisingly affordable, especially if there is two people sharing a room. 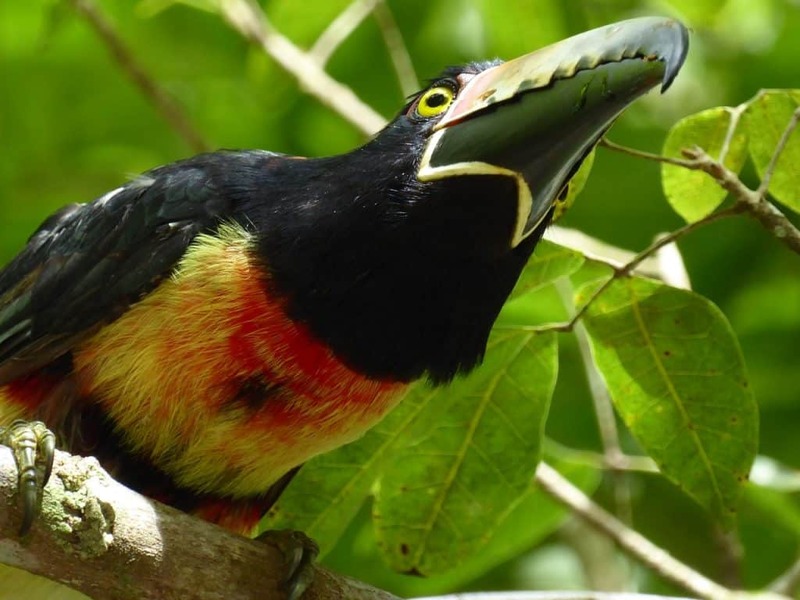 Hotel Tikal Inn also offers very affordable (and highly recommended by current and past guests) tours of Tikal for sunrise, sunset and of the ruins during the day – as well as specific birding tours or to other far flung ruins. Their guides are all hand-picked and some work exclusively for the hotel so quality is always assured. In fact, one of the owners, Roxy, is herself a qualified guide and people will stay here just to go on one of her amazing tours. 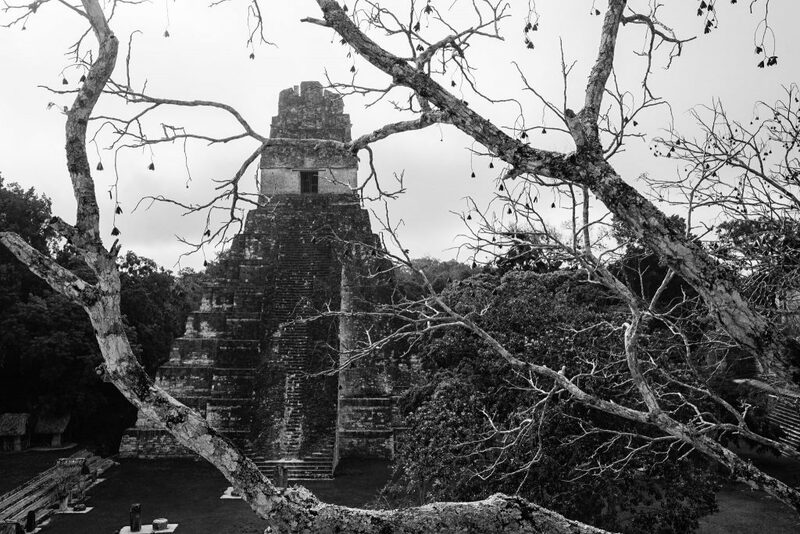 The history and majesty of the lost ruins of Tikal National Park are truly done justice here! Shuttles and transfers can also be arranged to Flores Airport or to / from Belize. Speak to almost any traveller who has been through Flores and you will be regaled with stories of fast-speaking ticket touts, many with perfect English, who promised the world and delivered ….well nothing. They have been known to swarm incoming uses from Mexico and Belize, hassle tourists on the streets, fake phone calls to popular hotels and selling bogus or over-priced tickets to Tikal National Park for a Tikal Day Trip, shuttles or buses for onwards destinations. I was twice sold buses with air-conditioning etc at exorbitant prices only to find both were mini-vans. 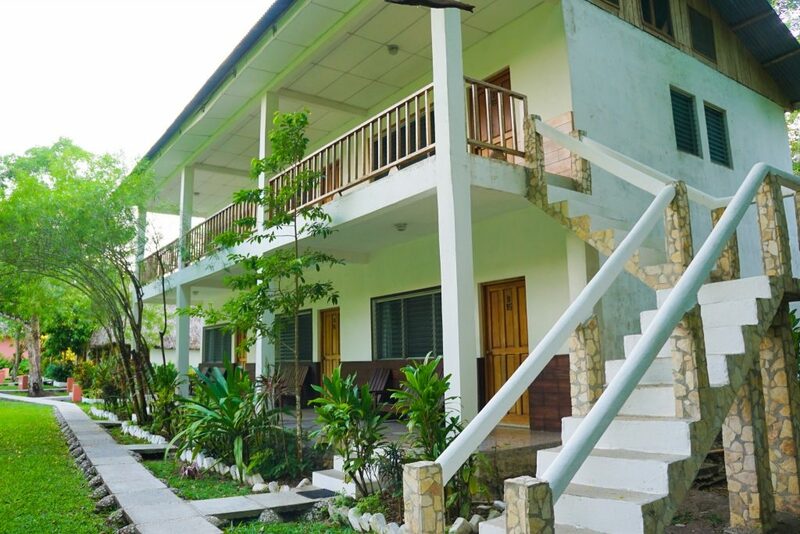 Book anything you might need online or in advance, or through your hostel, if you do opt to stay in Flores. 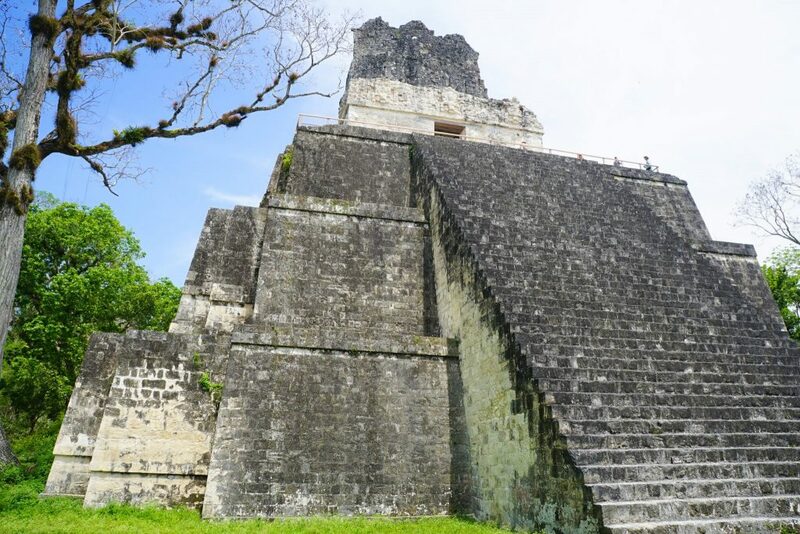 One of the worst is San Juan Travels and should be avoided at all cost though they do change their name or operate out of other outfits so be careful – and do not book one of their Tikal Day Trips at all costs! 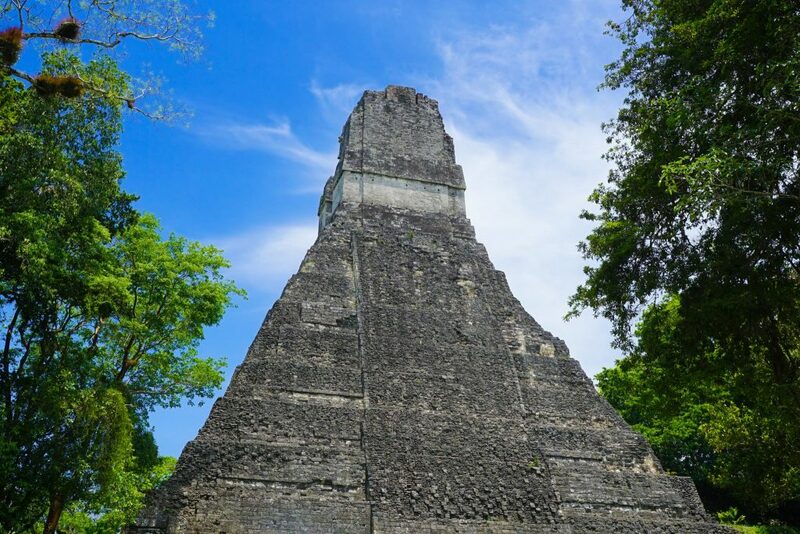 The best advice is truly to stay at Hotel Tikal Inn and organise all outbound and inbound shuttles through them for a more enjoyable experience – I meet a lady who was besides herself after being sold a three day package including sunrise tour, only to never have here guide turn up and to find out she only had a one day ticket not two. Tikal National Park is entirely worth it so don’t let this put you off – but please keep your guard up and wits about you! 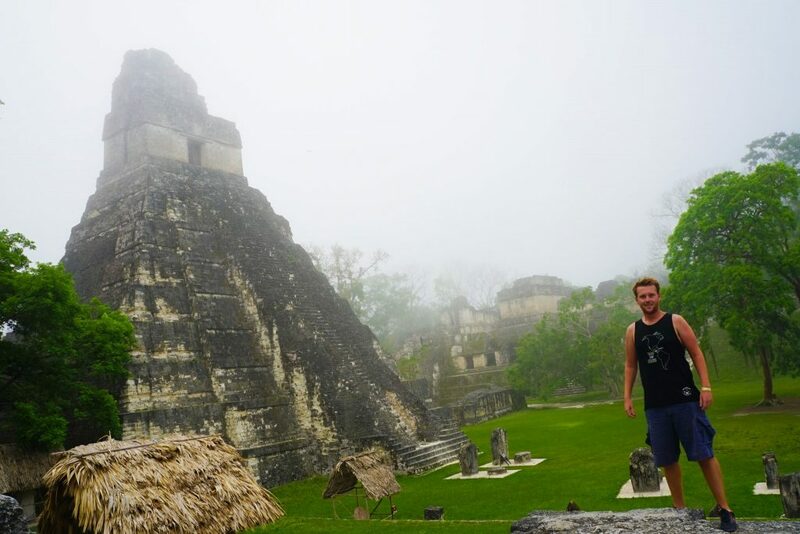 Overall Tikal National Park in Guatemala is one of the greatest Mayan Ruins ever to be unearthed and is undeniably one of the great wonders of the world. If you are anywhere near I highly recommend you make the effort to get here and promise you will be rewarded with memories to last a lifetime. 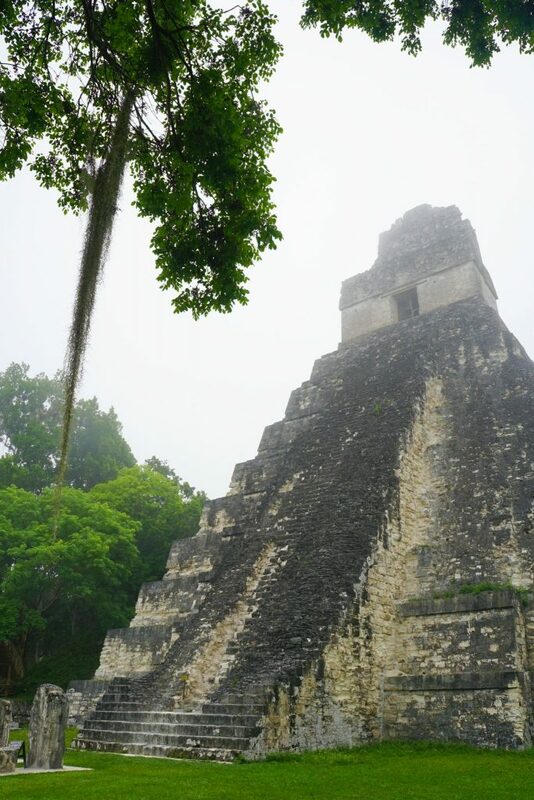 If you are able to you should try at stay within the Tikal National Park zone for a better and more immersive experience, and plan in advance to ensure not to get swindled. If you go and have any additional information to add please be kind and put it in the comments below to help future readers out! Oh, don’t forget to check out that Tikal Star Wars Scene before going to get you excited!